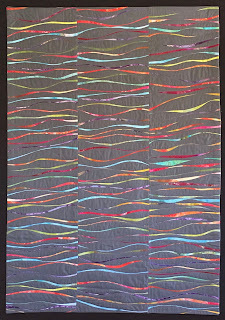 Studio Jules Art - Blog: Prism Refraction is Finished! I finally completed Prism Refraction. Piecing was fun because I love this wave piecing process. I'm addicted to it and can't wait to do more of it and maybe even teach a few classes. The quilting of this quilt, well, that is another story. I wanted to hurry and get it done so I could enter it in a show. 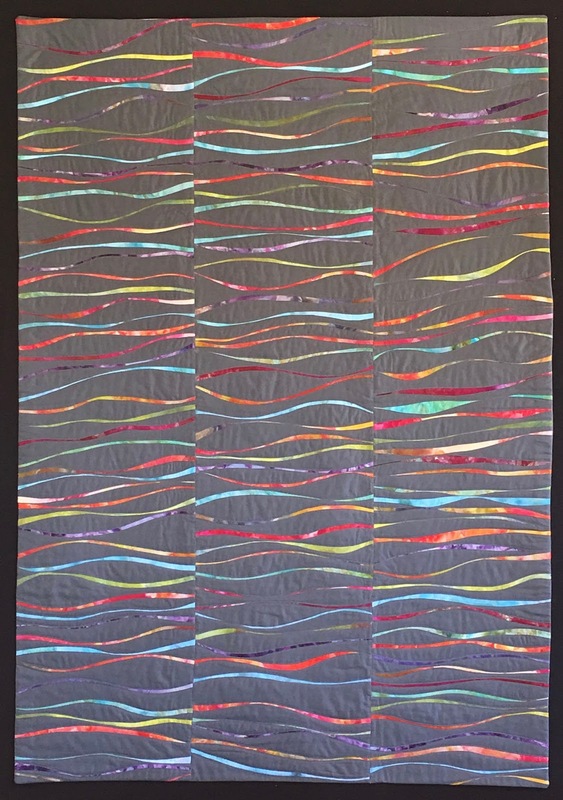 So I went to the long arm studio and quilted it. I hated what I did. I'm not a seasoned long armer and my lines just didn't turn out the way I wanted them. So home I went and had a lot and I mean a lot of quality time with my seam ripper. I took out the entire quilt and started over on my Bernina. It took a couple of days of quality time with my walking foot, but I got it done and I am very please with the precision I was able to quilt. Needless to say, I didn't make the show entry deadline. But there are others coming up! I think I will be doing a lot more quilting with my walking foot. I even ordered the book "Walk: Master Machine Quilting with Your Walking Foot" by Jacquie Gering, to help me with inspiration and new designs. Can't wait for it to get here the end of the week. What a Fun Dye Class!